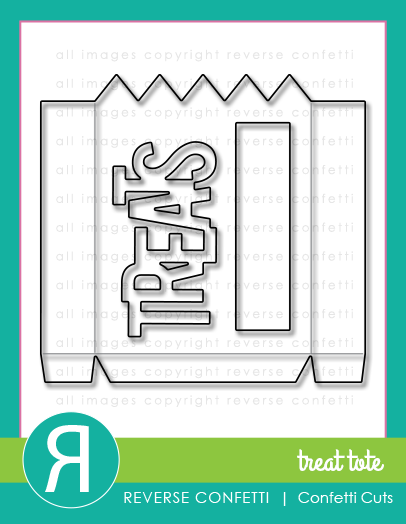 Treat Tote Confetti Cuts from Reverse Confetti. used the Tagged Tote Confetti Cuts to make it into a tag. I used Chickaniddy Crafts Scrumptious patterned paper for the denim tag and the die cut word. I stamped the sentiment (from Label Me) in versa mark and heat embossed it in white. Love your fun tag Leigh! This is so cute Leigh! Excited for Halloween too although my kids do not goo out anymore--I had to tell ds that adults do not trick or treat! lol Have a great time at Comic Con! That striped sentiment with the blue jean paper is super duper fun! Love it! 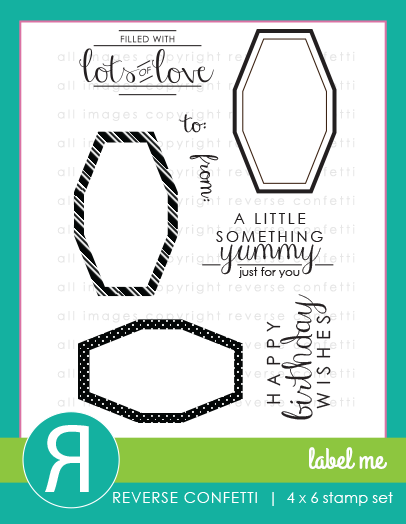 Fabulous :) Love the stripes on the sentiment die ! Love the paper! Hope to see your costume! 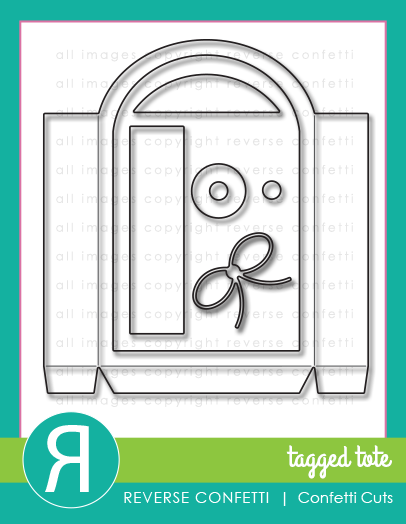 Oh, how clever to turn the bag die into a tag! It is adorable! Love the denim paper mixed with the fun striped sentiment. Orange and blue is one of my all time fave combos! So cute, and beautifully staged, too! What a fun weekend you are going to have! I miss the days of trick or treating with the kiddos. Hope you take pictures of your tardis costume to share! What a sweet tag, Leigh - and the bowl of candies you've used as it's *co-star* looks mighty yummy, too! Fabulous! Enjoy dressing up today and on Saturday. Happy Halloween!